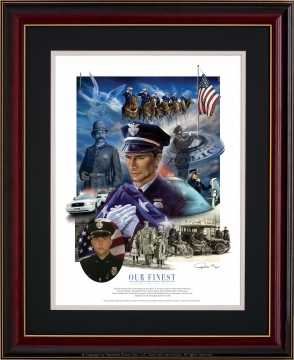 In 2005, Ray Simon's lithograph honoring Law Enforcement was presented as a gift to each surviving family at the 25th Anniversary of the National Peace Officers' Memorial Service. Our goal is to continue supporting future memorial services by providing the surviving families with a personalized framed lithograph. We have received numerous inquiries from surviving families who lost a loved one prior to 2005 and who would like an opportunity to purchase a personalized lithograph. To accommodate these requests we are offering a special price of $85 (plus shipping and applicable sales tax) for a framed personalized lithograph which normally retails for $175. In addition to the special price, all profits from the sale will benefit the Wilbert Foundation, which provides crucial funds and resources to programs that support children coping with the trauma of grief, death, or preparation for surgery. To order a framed personalized lithograph, please call Wilbert Funeral Services at 1-800-323-7188. 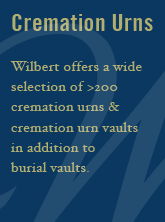 We will ask you for your loved one's name, rank, EOW date, and picture, which you can e-mail to FOPmemorials@wilbertinc.com. Please allow two to three weeks for delivery.